People love to eat. Well, at least they do for Lunch, Dinner and snacks. Breakfast, however, can be a different story. Whatever happened to that adage advice to "Start the day with a Hearty Breakfast?" These days, many of us either don't eat at all or we grab an apple, buttered toast, rush to our work places to wash it down with caffeine. Or if we have time, we may swing by the local fast food joint for whatever we get our hands on to save time. Just for a minute, stop, breathe and think. Is this what our bodies really need to get us going in the morning? Geneticists, chemical engineers, pharmacists and dieticians could not have produced a more valuable tree than Neem (Azadirachta indica). 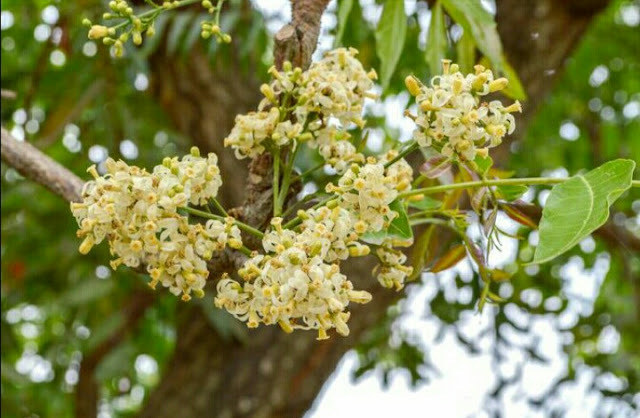 For many people worldwide, neem is priceless due to its numerous medicinal properties. It is such a cherished tree that in Sanskrit it has 31 descriptions. The tree is revered as a manifestation of goddess Durga.